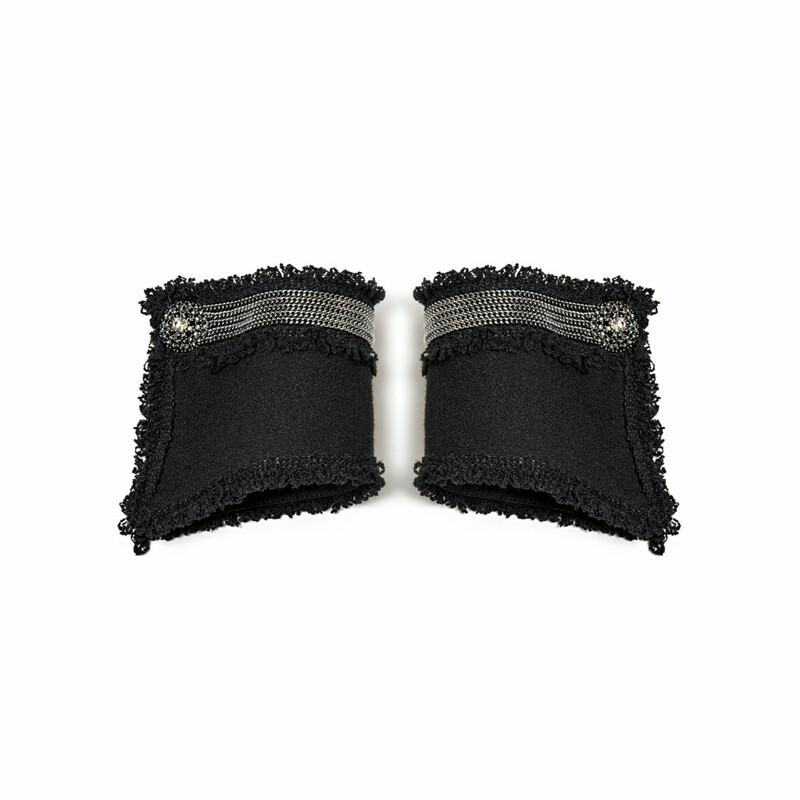 Claudine – musketeer Jewellery cuffs are made with pure white cotton and decorated with a jewel. Wear with any outfit to enhance your ‘look’. These super-stylish Jewellery cuffs promise to be the ‘hottest’ fashion accessory of 2017. 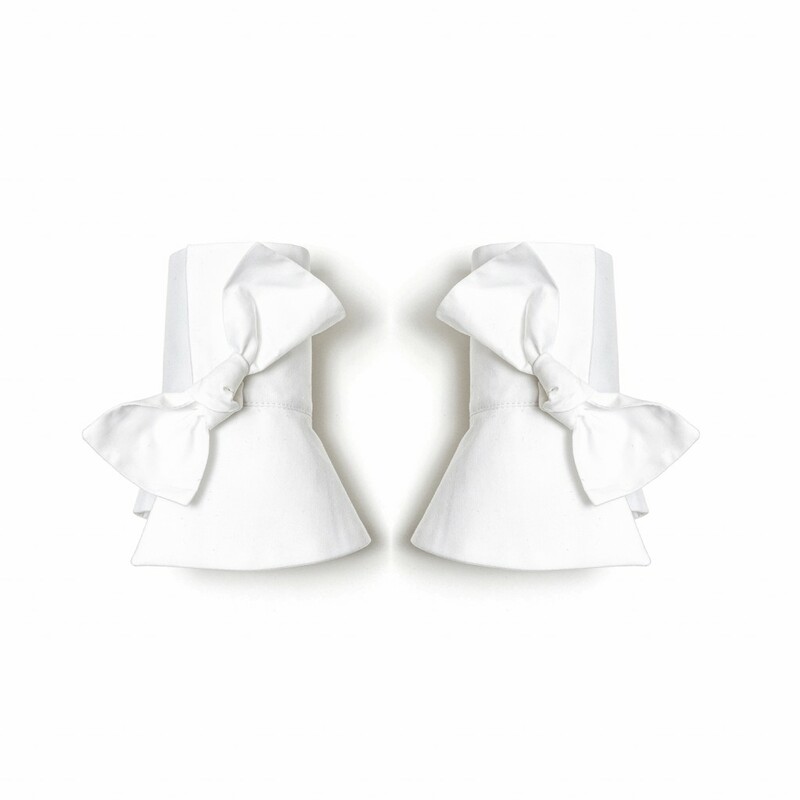 Part of a collection of ultra-chic Fashion Accessories from Paris Couture designer Catherine Osti. A concept in which the classic shirt cuff is given a high-class designer twist and embellished with jewels, lace, braids and more..
Catherine Osti is a luxury brand of exquisite Jewellery Cuffs and Fashion Accessories designed by Catherine Osti in Paris. After honing her skills in the Chanel workshops in Paris, working on Haute Couture Collections, Catherine developed her own eponymous label.